Consultation: This free initial 40-minute visit will give us a chance to get to know each other and go over important information about the proper care of your pet and home. We want to find out as much information as possible in this meeting so that we can ensure the superior service you and your pet deserve. This will also give us an opportunity to fill out the necessary paperwork and answer any questions you may have for pet sitting and dog walking in Boca Raton. Dog walking/Dog sitting while you’re at work or traveling. Have a work schedule that leaves your dog home alone too long during your workday? Do you need someone to take care of your pup while traveling? Our dog walking service allows your pup to get a much-deserved break and walk. Dogs require physical and mental stimulation just as humans do. If proper exercise is provided on a daily basis, it will energize their body, mind, and spirit. Many dog behavioral problems are the result of isolation, boredom and insufficient exercise. A visit by us consists of a nice walk, fresh water, playtime, dog games, practicing tricks and lots of pampering and TLC. ***No discrimination based on breed! 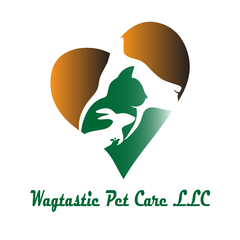 Cat Sitting/Cat Care We absolutely LOVE cats at Wagtastic Pet Care! Despite what many believe, cats do like human contact but they interact and demonstrate their love to us in a different manner then dogs. We love the challenge of getting a shy kitty to come out whether from a distance or up close and personal. Cats are most comfortable when they remain in their own familiar surroundings and are able to continue their usual routine with the least amount of stress. Cat Sitting visits include feeding, refreshing water, brushing, playtime, accident clean up, litter box change, cuddling, quality attention, laser lights, catnip, pampering and lots of TLC! We follow all special instructions and wishes. (dietary, medical, playtime, etc) All visits are individually customized to meet the needs of the client and their cat(s). We will text or email you updates with pictures and video’s every time we visit with your pet. We recommend two 30 minute visits per day or one 45-minute visit daily for cats. Small Animal Care Whether they hop, swim, fly or scamper your small pets will feel very at ease and loved with us. Even though small animals may not show emotions in the same way as cats or dogs, they too need love, attention, and affection as well. Having a pet sitter visit while you are away on vacation can help them maintain their normal routine, diet and keep them happy, relaxed, loved and stress-free. We follow all the special instructions and wishes. (dietary, medical, playtime, etc) All visits are individually customized to meet the needs of the client and their small animal(s). We will text or email you updates with pictures and video’s every time we visit with your pet! Extended Evening Tuck-Ins: 2 hours: Arrival time Between (6:00pm-7:30 pm)-$75 per visit: Many pet parents feel more secure having a trusted sitter stay in their home at night. This visit is perfect for puppies, kittens learning to socialize, pets that have separation anxiety, special needs pets, geriatric pets, pets that are not used to be left alone for long period’s of times or just if you want your pet to have extra playtime, snuggles, cuddles, and companionship. Litter Box Scooping: If you’re an expectant mother, suffered an injury that prevents you from scooping the litter box, or a senior who has difficulty bending over we are here to help. Cats need and like a clean environment where they can do their potty business. Please note this is a stand-alone service separate from pet sitting. Litter box scooping is included free of charge for pet sitting cats. If you have more then 8 cats please contact us for a quote. Colony cat feeding: Do you have a colony of cats that you feed every day and need someone to feed them and give them water while you’re traveling or unable to. We would be happy to help. Basic visit/feeding per colony- Please contact us for rates. Holidays: Please reserve as early as possible to ensure we can accommodate your schedule. An additional fee may apply depending on specified holiday (and may include the weekend the specific holiday lands on). Please call for details. If you would like to book services or have question’s about pet sitting or dog walking in Boca Raton, please contact us today.